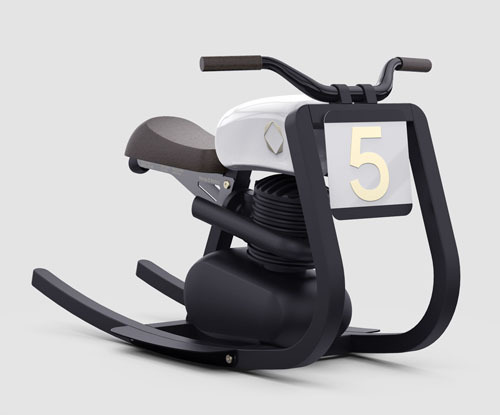 Felix Monza has developed Moto Rocker, it’s a mini motorcycle for the next generation of engine enthused kids. 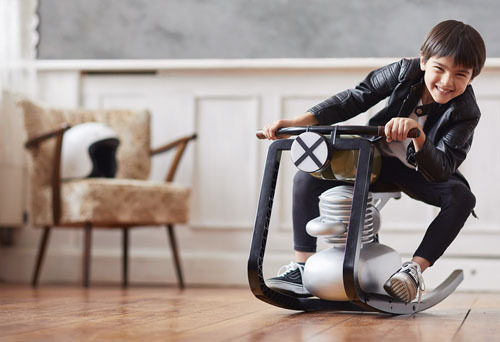 Children are often fascinated with two wheeled machines, especially when their father is too, they are enchanted by the scent of father’s oil infused garage. Boys always want to be just like their dads, when they see their father with cool motorcycle, they also wish they had motorcycle they can ride and work on. 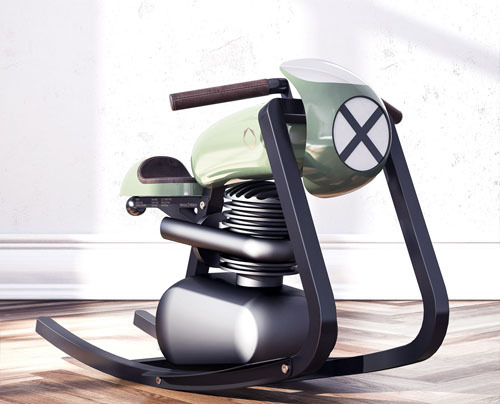 Moto Rocker Racer is designed with attention to details, it mimics the true feeling or riding a motorcycle. 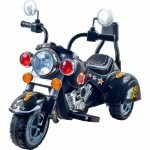 The first edition comes with a one-cylinder 125ccm engine, completed with a head light and a tail light. The seat is fabricated using genuine leather, each rider’s name can be placed on the frame bracket, including the serial number and version details. For indoor only, you can choose between café/brat or track style depending on the flooring of your living room. 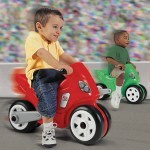 Suitable for children age from one to four, it can support up to 50 kg load. 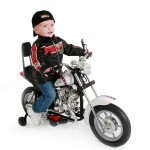 Your Little Boy Will Love Cruising The Neighborhood on EZ Riders Harley Style Wild Child Motorcycle!